On both test setups Tiny PXE Server was running from the following path - C:\pxesrv\pxesrv.exe. All Network Bootstrap Programs and Operating System files/images were located in the path/directory C:\pxesrv\files\. The firewall was disabled during tests to rule out any firewall configuration issues. Note that a number of the above settings may not be required for all operating systems - the HTTP daemon for example is not used with PXELINUX, BINL is only required for RIS installations of Windows, etc. Enabling these options however does not appear to have any adverse consequences. The ProxyDHCP setup consisted of a client PC (a laptop) and a Server (a desktop). 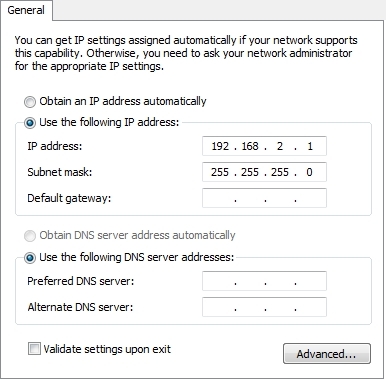 The Server was connected to an ADSL router with a built in DHCP Server - hence the need for a ProxyDHCP service.